I purchased this product with store credit earned through my Glossier affiliate link. I am not a Glossier rep.
Avid Glossier followers know that the best source for upcoming releases is Glossier's trademarks page. When the name "Lidstar" appeared there about a year ago, I surmised that Glossier was developing a shimmery eyeshadow. That product finally materialized earlier this month, on the eyelids of a handful of celebrities at the Oscars. (Beyoncé also wore Lidstar at the Grammys back in January, but Glossier revealed only that she was "wearing __ in __." Ooh, mysterious!) 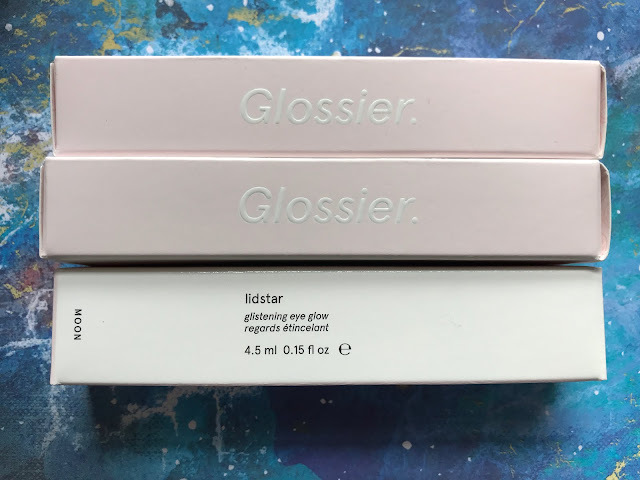 Launching new makeup at awards shows is apparently Glossier's Thing now, and while I find it a little tacky, I can't deny that paying Sir John to put Lidstar on Beyoncé is a pretty freaking effective way to market your product. I also can't deny that I was excited about this particular release. 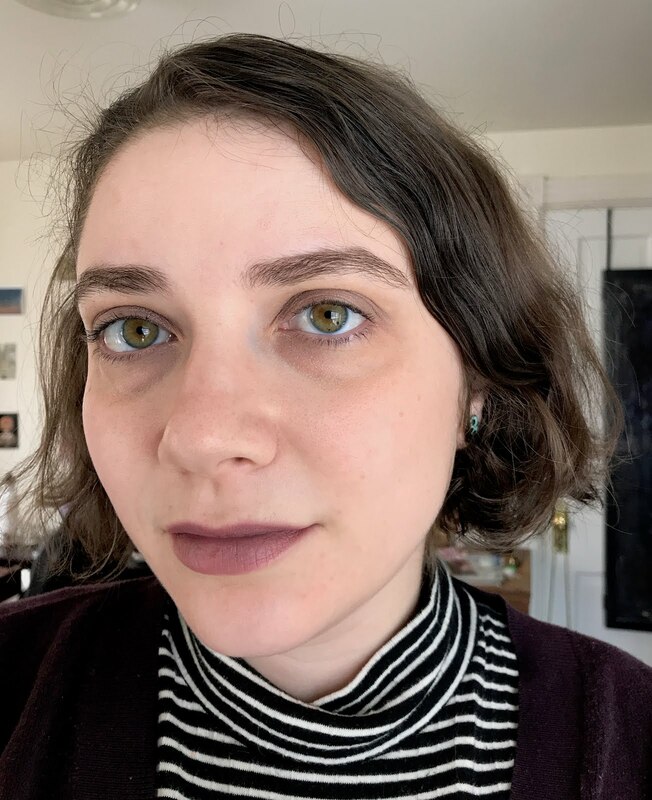 I tend to like Glossier's approach to color makeup, and an eye product was long overdue. And I'd never used liquid eyeshadow, so I was curious what I'd make of the formula. Lidstar ($18 for one, $30 for two) comes in six shades: Cub, described as "a rose gold with warm shimmer effect"; Fawn, "a cool, smoky taupe with violet and neutral gold pearls"; Herb, "a smoky green with yellow gold pearl"; Lily, "a sheer lilac base with blue and violet pearls"; Moon, "the sheerest cream base with blueish opalescent glitter"; and Slip, "a sheer baby pink with gold highlight effect." Frankly, this array of shades feels a bit dated to me: five out of the six are cool-toned, and there's no bronze or brown in evidence. And I say this as a cool-toned person! I'm curious whether warmer-toned people feel that they can wear these shades. 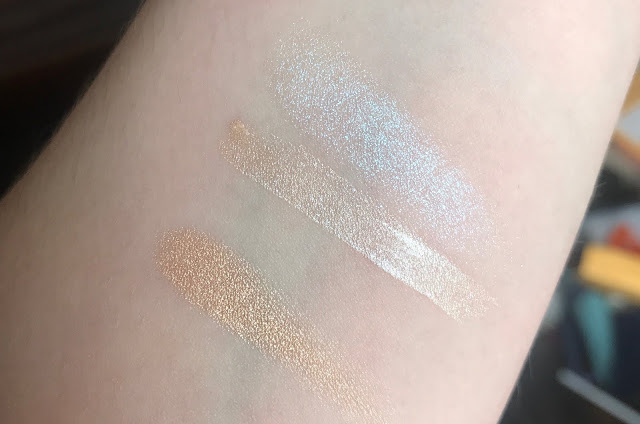 For my first Lidstar experience, I limited myself to three shades: Cub, Fawn, and Moon. 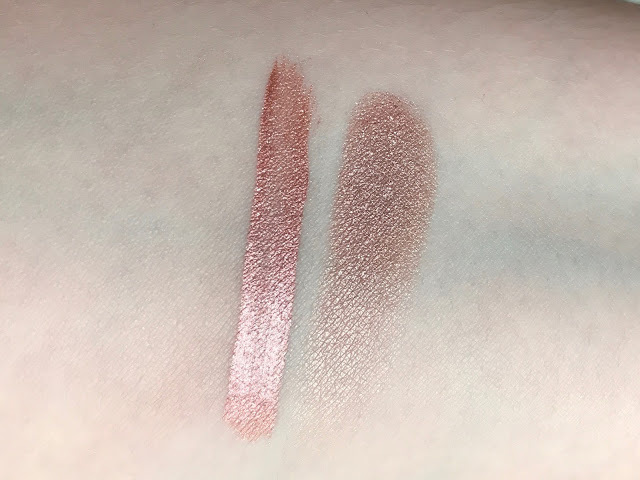 I waffled a bit between Moon and Slip, but I was really curious about Moon's "blueish opalescent glitter," and the description of Slip made it sound like a shadow I already owned, Kiko Golden Mauve. The bottles, designed to look like test tubes, are made of sturdy-feeling plastic. The cap closes securely. I had no problem opening and closing the tubes, but I think I got lucky: Renee, for one, has reported struggling with the lids. 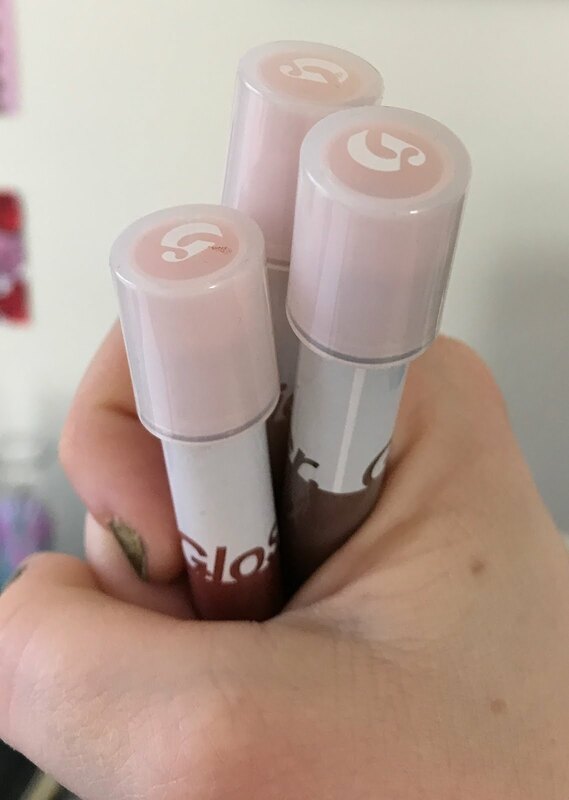 As usual with Glossier, I think the packaging is cute and nicely portable, but slightly cheaper-looking than I'd expect for the price point. I can totally imagine that "Glossier" lettering rubbing off in a few weeks. Edit, 4/24: While putting on Fawn today, I noticed that the cap had cracked badly. I inspected my two other Lidstars, and Cub had an even deeper crack. Keep in mind that these two shadows have lived on my shelf since their arrival a mere month ago. I don't carry them with me during the day. I may have taken Fawn on one overnight trip (I can't quite recall), but still, this is unacceptable. Glossier, you're not a tiny indie brand on Etsy. If you can afford to put your products on Beyoncé at the Oscars, you can MORE than afford to improve your packaging. The applicator is a small, fluffy doefoot. I've tried dabbing the product directly onto my lids, but I find it much easier to swipe it onto my finger first, then blend out. Before I review each shade individually, I'll give some thoughts on the formula as a whole. First, let me be clear: this is a sheer eyeshadow! Fawn and Cub are more pigmented than Moon, but they still require at least two coats for anything approaching opacity. Moon is never going to come close to opaque. The descriptions and photos on Glossier's website indicate that Lidstar is meant to deliver a subtle, slightly undone look, and I'm going to take it on those terms in my review. That said, Lidstar diverges from the website description in one important way: it's not as sparkly as advertised, unless you're standing right under artificial light. Fawn approaches k-pop levels of ethereal glitter, but Moon has more of a sheen, and Cub dries down to a satin formula that actually looks matte in some lights. I'd been looking forward to trying Lidstar as the center of a halo eye or as a glitter topper for matte shadows, but it's not remotely suited to those purposes. 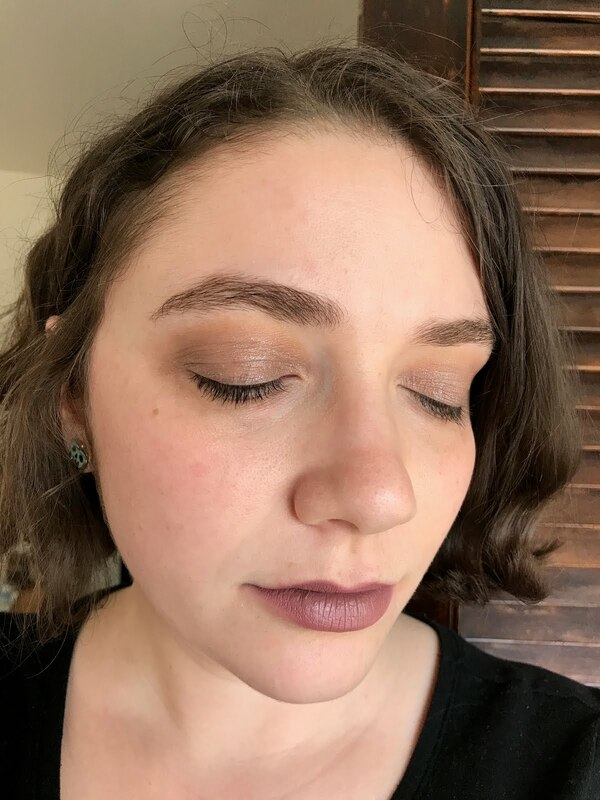 As I've mentioned ad nauseam on this blog, my eyelids wreak havoc with many eyeshadow formulas. I'm only 30, but I have lids that might be described euphemistically as "mature": full of creases, folds, and wrinkles. So I had some apprehension about Lidstar: Would the formula gather in the creases? Would it flake off weirdly? Would it look messy, like, not chic-messy but busted-messy? I'm pleased to report that for the more pigmented shades, Cub and Fawn, my fears were misplaced. Being fairly sheer, those shades don't exactly disguise my creases, but they don't emphasize them, either. Moon gives me more trouble (more on that later), but I don't think Cub and Fawn are bad choices for textured lids. The formula spreads smoothly across my lids and takes about a minute to dry down. I've tried all the shades both on their own and over my usual eyeshadow primer, Urban Decay Primer Potion, and I've noticed zero difference in wear time or fallout levels. With or without primer, Lidstar lasts all day with minimal fallout and creasing (granted, I don't have especially oily lids). If anything, the stickiness of the primer makes the shadow harder to spread across my lids. I never wear primer with cream shadow, so I'm not surprised that I don't need it with liquid shadow, either. Because Fawn has the largest sparkles, it also has the most fallout, but not enough to be noticeable at a normal speaking distance. Now for the individual shades! My Marceline pin (!!) is from the brilliantly named Girl Fawkes Pins. 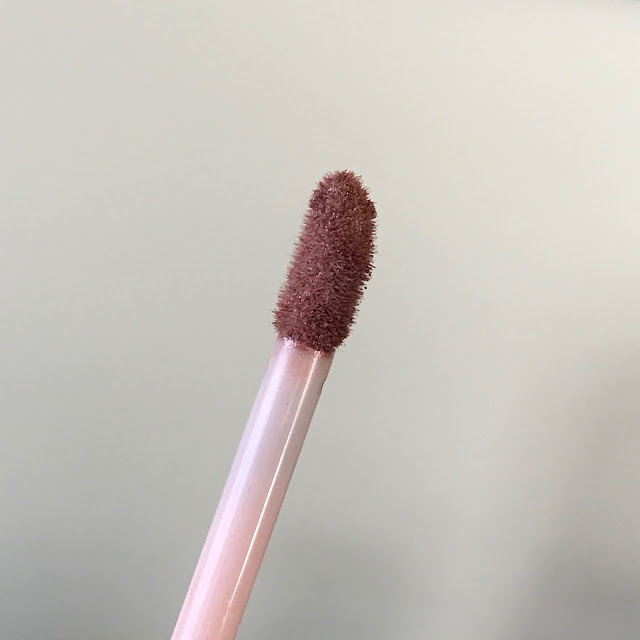 Fawn is my favorite of the three, though it's a far cry from the "cool, smoky taupe with violet and neutral gold pearls" described on the website. It's gray, people. It's a shimmery gray that leans slightly purple. I see no evidence of "pearls" or "violet" or "neutral gold." Do you? Am I blind? Instead of wearing Moon all over the lid, I prefer using it in conjunction with Fawn. I place Fawn on the outer half of my lid and Moon on the inner half, blending them in the middle with my finger (see below). You could also dab it lightly on top of Fawn or another shadow for some added glimmer. Yes, I'm wearing Madame Greige again. But do I think these are worth $18, or even 2 for $30? Not really. I don't think that's an unconscionable price (I'd rather pay $18 for a Lidstar than for a Generation G lipstick), but you'd be better served by picking up a Kiko eyeshadow stick for $9. 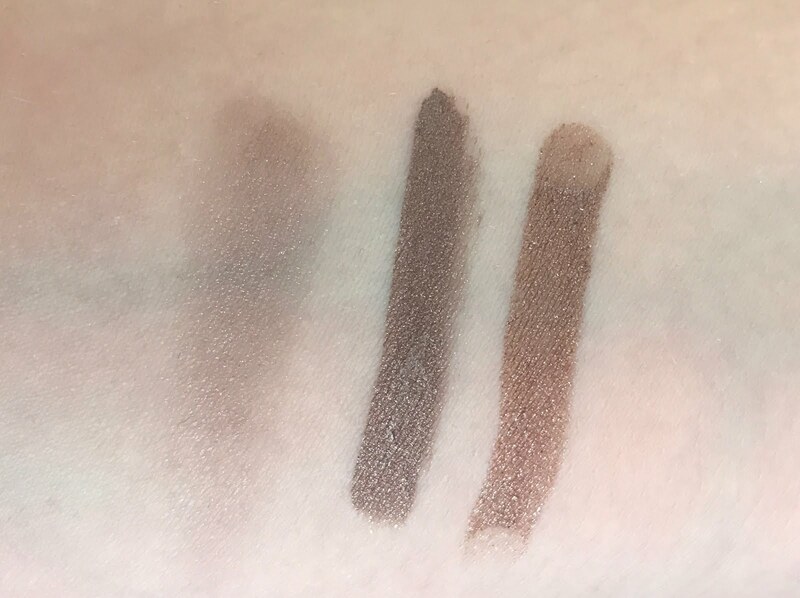 Fawn and Cub are both decent shades, but I can't recommend Moon unless you have cartoon-smooth eyelids. Part of me wants to try Slip, but another part of me wants to save my store credit for the "Disco Lip" product that's been hanging out on Glossier's trademarks page for the past year. Now, that might deliver enough glitter to satisfy my trash-witch soul. They seem like standard issue shimmery eyeshadows. The Kiko ones seem really popular - I'll have to try them some day. My favorite shimmery shadows are by Alima Pure. Do you know that brand? I have pretty sensitive eyes though, so I need something mild. Back to Glossier, I have to admit I felt physical revulsion at the sight of the test tube packaging. They remind me of the vials used to catch blood at the doctor's office, an experience which is consistently terrible for me because I am always poked several times (I have small veins - sort of amusing that I am sharing that here, oh life!). I've never heard of Alima Pure, no! I agree that the Lidstars aren't bringing anything revolutionary to the table, but at least they do last much longer than shimmery powder eyeshadows. 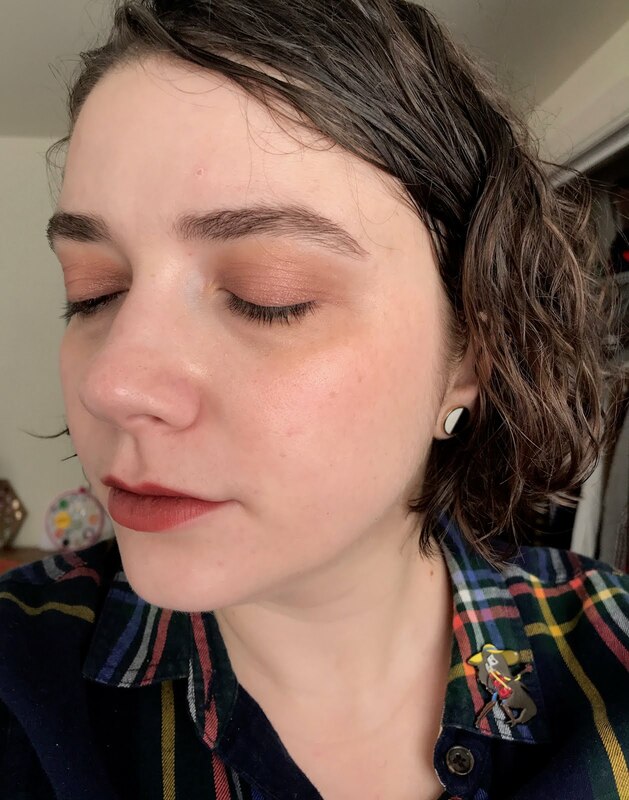 This isn't really related to this post, but I was at a wedding last weekend where eyeshadow was a considerable topic of conversation. Have you ever tried Shiro's eyeshadows? They were popular with this particular group of nerds. 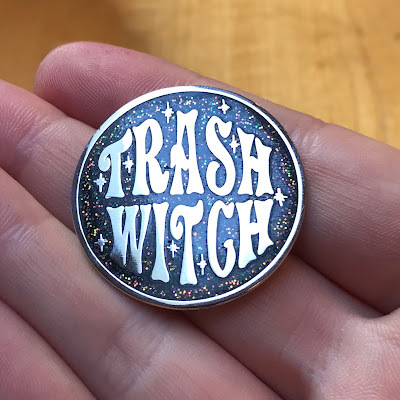 (My friend-who-you-met-that-time-in-Noho has decided she is into glitter and quirky colors, after a long time trying to get into makeup via neutrals but not really seeing the point, so she was asking around among the wedding party where everyone got their glittery eyeshadow.) Also I wore Missy & Fierce for the ceremony and it got a lot of compliments! Aha, THAT wedding! It looked like a lot of fun. I've never tried Shiro, though I have spent way too long browsing their website. Most (if not all) of Shiro's shadows are loose instead of pressed, which is not my thing: I'm way too clumsy to be handling tiny jars of loose pigment. I also have mixed feelings about Shiro's use of intellectual property. Almost all their products are named after movies or shows with huge, passionate fandoms, and there's a fine line between "tribute" and "ripoff." I'm sure lots of people at the wedding had opinions both pro and con on this! 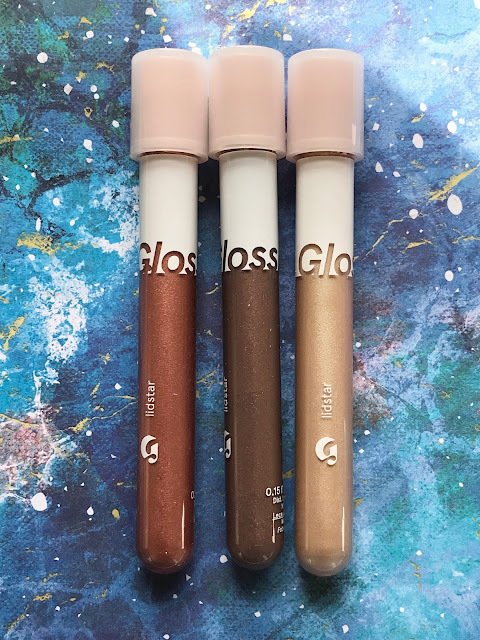 I hate to mention Colourpop (because everytime I do I feel like a cult member dragging back someone who has finally escaped the commune) but if more glitter is what you want, the Supernova liquid shadows might be your cup of tea. They're not perfect, but the $7 price tag plus frequent sales means that I can live with how they can get chunky and flakey with finger over-application. But dang, are they nice in the center of the lid if applied with a brush! I was curious about Lidstars but your review pretty much affirmed every suspicion I had, and I don't think it's a formula I would reach for, ever. I actually just bought a ColourPop glitter shadow--Ladybird, from the spring collection! It's SO PRETTY and now I want a million more. I would go for the Kiko sticks but decent cream eyeshadow sticks are in short supply in Canada. I LOVE my Laura Mercier Caviar sticks, but a full sized one is $35 a pop while the Lidstars come in at $36 for two. I think the Lidstars would work well for the kind of makeup you do! I suspect that Slip in particular would look great on you (as would Moon). 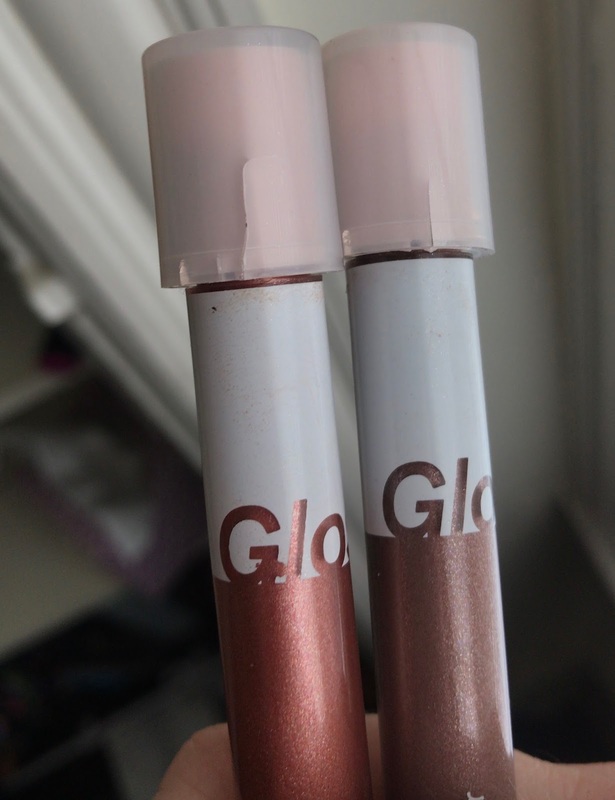 I am oscillating between disinterest and curiosity when it comes to Glossier. On the one hand, I do not like sheer products, my makeup is always "in yo face." On the other hand, after I read posts such as yours, I think why not? Even though they are sheer, they might still produce interesting effects. "Ethereal glitter" sounds lovely. By the way, San Francisco is absolutely plastered with Glossier advertisements now! If you really want ethereal glitter, I think a ColourPop ultra glitter shadow might be a better bet than a Lidstar! I'm kind of in love with CP Ladybird at the moment. Oh man, I'm imagining Glossier billboards all over San Francisco and cringing. I know the city has changed a lot since I was growing up there, but damn it, Glossier's aesthetic isn't weird enough for SF! These actually look like lipstick tester tubes to me, just inverted - normally they don't come with caps, so you just get the twisty base part and the narrower tube sticking out the top. Clearly I have spent far too long working cosmetics retail because that is immediately where my mind went with the packaging (which I agree is not the most beautiful). Moon looks so pretty, but I have one big fold right across my eyelid so I'm not sure it'd play nicely with me. Oh well, another reason to save a few bucks. Yeah, I don't think I could recommend Moon to anyone with deep creases or folds in their lids! 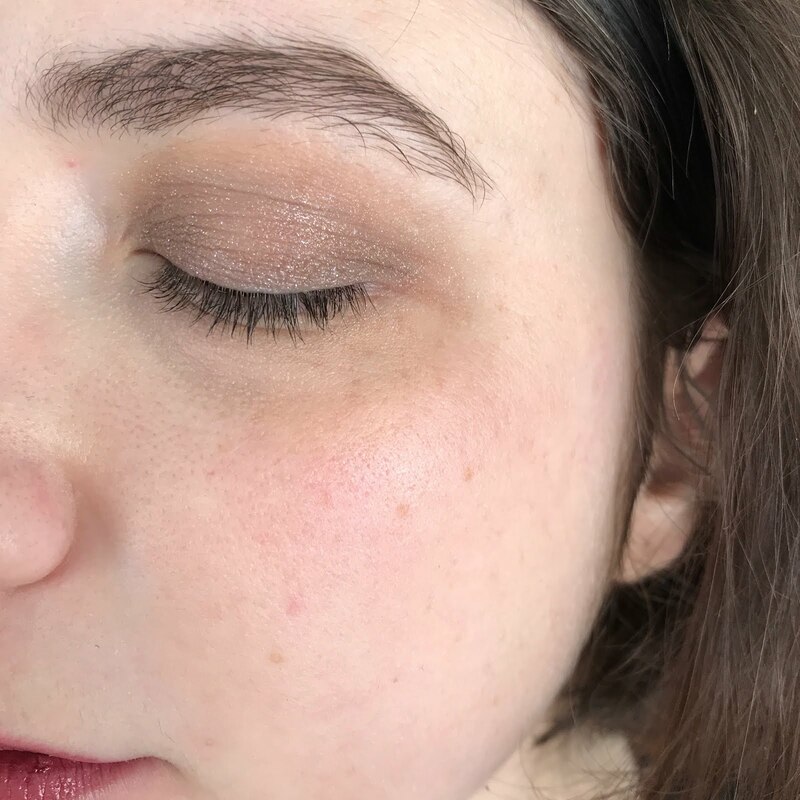 It would certainly be pretty as a browbone or inner-corner highlight, but there's not much point in buying a LIDstar if you can't use it on your lids. Fawn looks beautiful on you! Liquid eyeshadow is something I prefer swatch in person although nowadays I buy my makeup mostly online. I like Estee Lauder Shadow Paint (I know...sigh) a lot and recommend it if you're looking for less glittery options than stila liquid eyeshadow, for example.